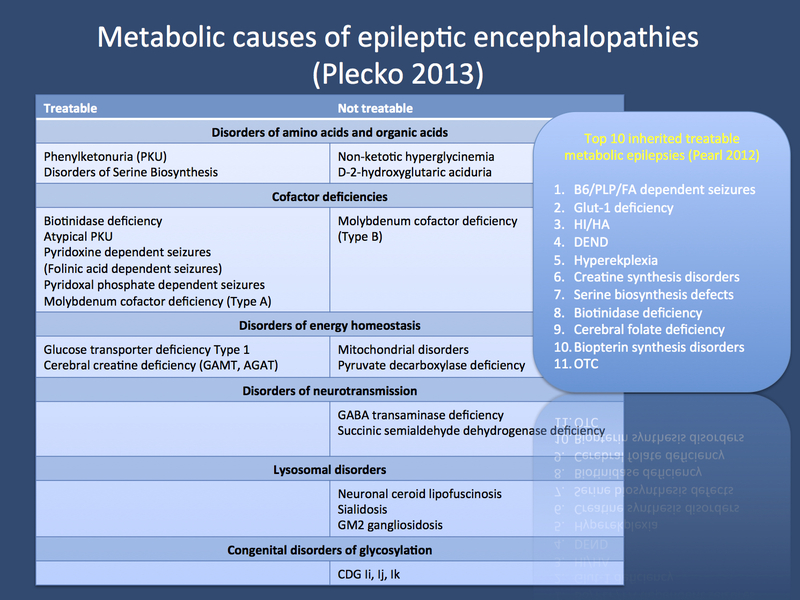 A list of inborn errors of metabolism (IEM) with epilepsy as a predominant phenotype. This list was compiled from Plecko or Pearl. The top 10 list includes 11 items on purpose to remind you that there is always one more thing to think of. Abbreviations: B6/PLP/FA – vitamin B6, pyridoxal phosphate, folinic acid; HI/HA – hyperinsulinism-hyperammonemia; DEND – developmental delay, epilepsy, neonatal diabetes; OTC – Ornithine transcarbamylase deficiency.